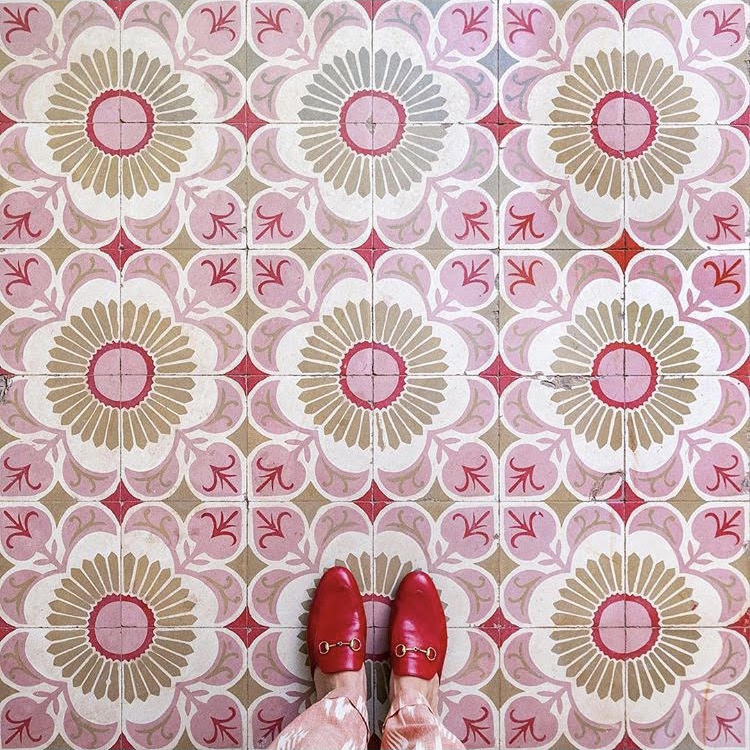 I really just can't get enough of tile recently, and I'm currently obsessed with the latest series from an Instagram account called Parisian Floors (@parisianfloors). Apparently Gucci sponsored the trip--how nice for Sebastian Erras, the photographer behind the Parisian Floors account! It's worth noting that Gucci has been doing a lot of interesting artist sponsorships as part of its influential reawakening under creative director Alessandro Michele--something to keep an eye on. 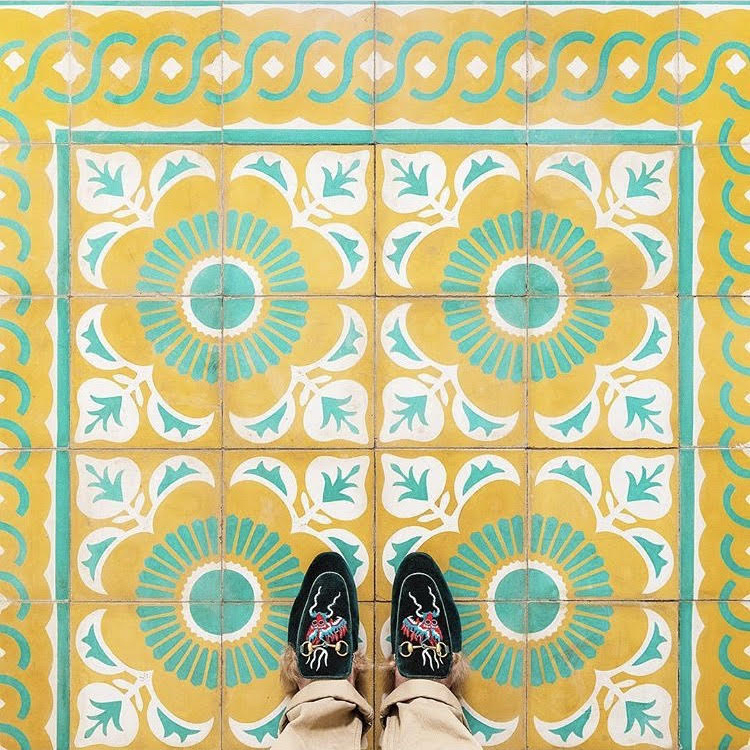 "For 2 weeks @lageorgienne and I travelled through Cuba in search of the most beautiful old tile floors. We started in Havana, went over to Trinidad, passing by Santa Clara and then Cienfuegos circling back to Havana. In each city we were greeted by the most lovely and welcoming people, found incredible floors, ate our way through the local cuisine and had the most unforgettable experience in this extraordinary country." Very unique palette and pattern, Trinidad. The floor at Animas 303 Hotel, close to the historic part of the city, "Havana Vieja." The kitchen floor in the team's host's home in Havana. A juice shop called "La Cecilia," Trinidad. A souvenir shop called "Calle Empredado," Havana. A restaurant floor in historic Trinidad. See Erra's portfolio site for the whole series here.